• Schedule a complimentary consultation where we will meet with you to discuss the best possible option(s) for the items you want to sell. • We will research and assign prices for your estate items providing you with a clear value. This independent evaluation is essential not only for a successful sale but for your peace of mind. • We sort, organize and prepare the home for your estate sale. On occasion, an off-site sale may be necessary, and in these cases we will determine the best location and organize the sale for that venue. We call these our Pop-Up Events! • We specialize in the staging of the home. 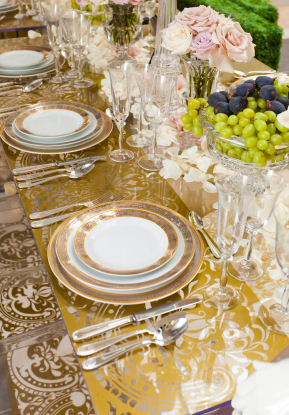 As a decorator, Maura recognized the importance of presentation in achieving the maximum price for your items. • We coordinate all advertising and promotion of the sale through print and on-line media as well as notifying buyers from our proprietary customer list. • We provide congenial sales, security, and moving staff to ensure a safe professionally run sale. • We accept credit cards making it easier for buyers while boosting sales. • We may coordinate a thorough clean-out of remaining items including the handling of any items you wish to donate to charity. • We offer to coordinate a house cleaning that prepares the house for the sale and relieves the family, executors and realtors of the burden of this work.